The onset of colder weather has led to a sharp increase in the sale of roofing insulation products, both to professional and domestic buyers. To help ensure that you can easily carry out this essential work, we are currently offering big price reductions - from 20%-23% - across our entire range of roofing insulation materials. When correctly installed, this lightweight, multi-foil thermal insulation layer offers unmatched thermal resistance by efficiently reflecting infrared heat. This means that, during the winter, heat is kept in and cold is kept out - during the summer months, the insulation then keeps out excessive heat from the sun, ensuring internal temperatures are kept at optimum levels. Though comprising 19 separate layers of foil, SuperQuilt roofing insulation is incredibly easy to handle and install. Independent testing and Building Control certification guarantee quality and user safety and make the product ideal for both refurbishment and new-build projects. Used underneath roof tiles, spray foam offers a quick and effective insulating seal. 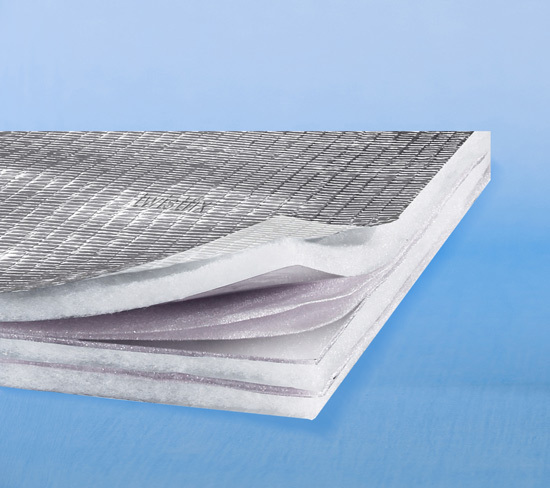 Our foam insulation utilises a closed-cell polyurethane formula that reduces heat loss and condensation while protecting against tile slippage and enhancing thermal performance. 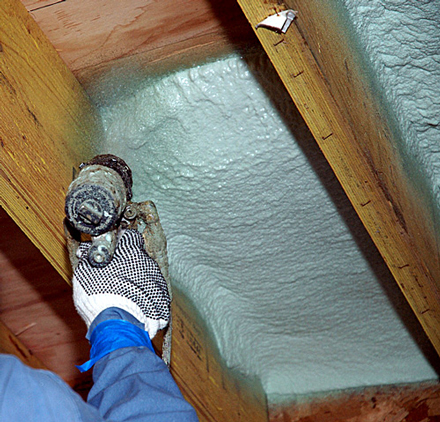 The spray-on spray foam insulation is designed as an insulating sealant for air leakage control to upgrade thermal performance and reduce condensation. 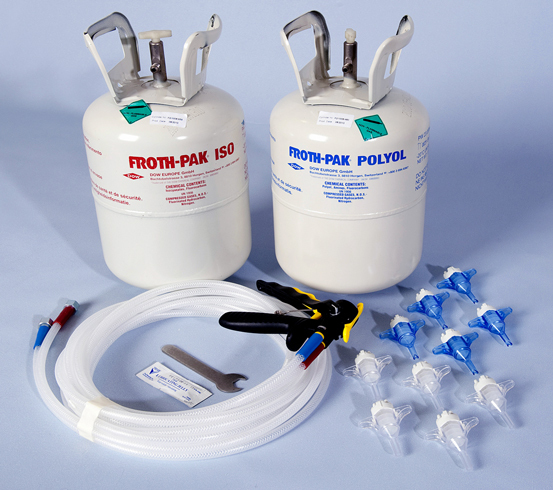 Our comprehensive kit contains canisters of Polyols and Isocyanate along with the necessary hoses, nozzles and dispensing gun; for re-orders, a tanks-only kit is also available for those already having the spray-gun equipment. As with all construction chemicals, usage instructions must be carefully read and adhered to and protective clothing should be worn during use. Check out our full range of roofing insulation materials and order now to claim your discount. 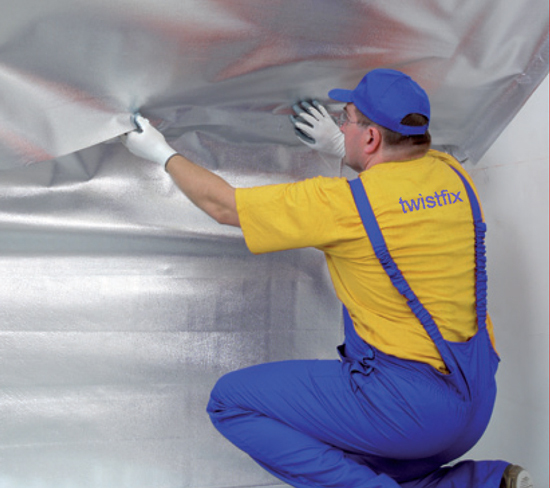 For more information on the insulation solutions available from Twistfix, please call 0845 123 6006 or email sales@twistfix.co.uk.